The first convocation ceremony of the University of Kotli Azad Jammu and Kashmir (UoKAJK) held at its campus here on Wednesday. President Azad Jammu and Kashmir, Sardar Masood Khan, who is the Chancellor of the university was the chief guest on the occasion. A total of 600 students were conferred degrees on their successful completion of various programs including fifteen graduates who won gold medals. The convocation ceremony was attended by Vice Chancellors of AJK public sector universities, Secretaries to the government, registrar, deans, directors, heads of departments, a large number of students and their parents. The President, in his address, wished a very bright future to all graduates who received degrees, medals, and awards at the convocation. He observed that the passing out students now have the responsibility to work for the growth and development of the society and they should discharge their responsibilities by setting examples in their professional work and personal lives. President Sardar Masood Khan praised the Vice-Chancellor, members of the faculty, staff and the students for the excellent performance of the university and directed the management to make the territory of Azad Kashmir a hub of knowledge by doing more hard work. He urged the university management to take effective measures to ensure quality education and to establish collaborative linkages with other national and international educational institutions and also the industry to make up for deficiencies in academic and research fields. 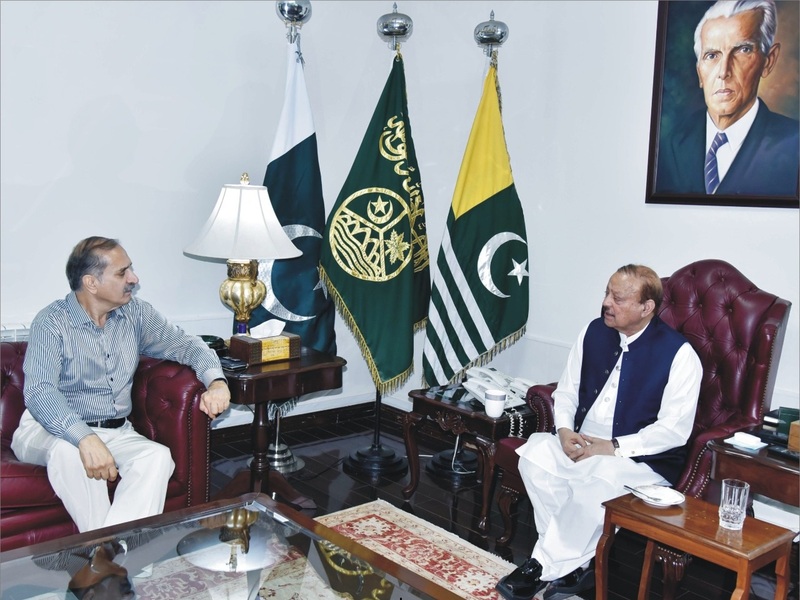 The President said that it is a matter of great satisfaction that public sector universities of Azad Kashmir are quickly embracing new technologies and noted that the introduction of new disciplines like biotechnology; nanotechnology, artificial intelligence, robotics etc. is a good omen for the future of the country. Referring to the recent mass shooting at Christchurch in New Zealand last week, the President said the deplorable act of terror targeting Muslim worshippers at two mosques were stirred by extensive anti-Islam campaigning taking place in the media. He urged the students to understand and prepare themselves to combat the anti-Muslim campaigning and the growing xenophobic sentiments. Describing Islam as the most peaceful religion on earth and a most constructive way of life given to humanity by Allah Almighty and Prophet Muhammad (Peace Be Upon Him), the President advised the students to follow the true path of Allah and the teachings of the Prophet to become exemplary human beings and leaders in the global community. About the situation prevails in Occupied Jammu and Kashmir; AJK President said today we are enjoying the blessings of freedom while other part of our state is subjugated by the tyrant India. “We cannot live in peace until occupied part of Kashmir is liberated from the illegal occupation of India,” the president said and urged the students to use social media for raising their voice in favour of oppressed brothers and sisters in Occupied Kashmir. The President also applauded the University of Kotli for holding seminars, conferences and workshops to highlight issues of national significance including the dispute of Jammu and Kashmir in its real perspective.